Farming is hard work. Providing high-quality produce is first and foremost in any farmer’s mind, but for them to do this, they need to make sure that they are taking advantage of all of the industry-related technology available to them. Reliable water irrigation systems are essential in agriculture. HR Products knows this, which is why we pride ourselves on offering one of the most extensive ranges of products to our farming clients. No farm is the same. Landscapes differ, availability of water is not the same everywhere, and soil composition changes all across the country. 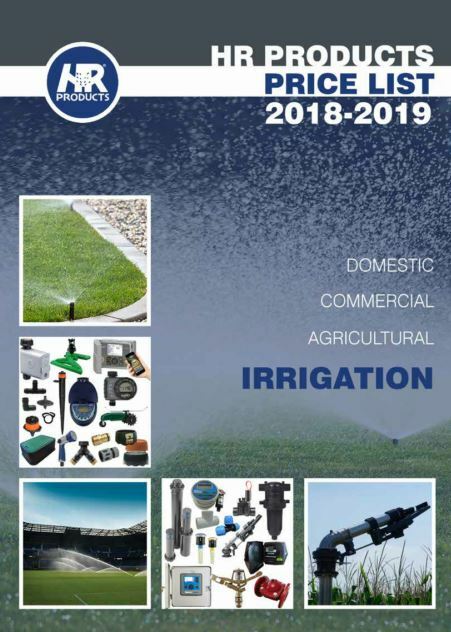 However, we have agriculture irrigation solutions for all your specific needs. A key component to quality farming is ensuring that you have access to good quality water. However, this isn’t always possible, which is where our water filtration systems come in. We have disc, hydro cyclone, and other options available. This will ensure that your water is filtered sufficiently for farming. A farm drip irrigation system is a great way to save on water and fertiliser while giving your crops sufficient moisture. By using an intricate system including valves and drippers, this option ensures that the water is targeted directly at the roots. Because of this, drip irrigation means that there will also be no wastage due to evaporation. This system can also be used to satisfy under-tree watering requirements. There are times, of course, when overhead watering is needed. This is a good option if you have a lawn that you’d like to keep healthy and lush. We have a range of farm sprinkler irrigation systems that you can control remotely. By using WiFi and Bluetooth technology, you’ll be able to tend to crops or livestock on the other side of your farm while remotely ensuring any landscaped areas are well looked after. In addition to farm irrigation systems, we also stock reliable fertiliser injection products. This is because we want to offer our clients a high level of service and that includes offering supporting products. If you have any questions or require any assistance from us, please get in touch. Our professional and helpful team is on hand to help you get the most out of your farm.